Contrary to popular belief, the economic value of trees is actually quantifiable. For this reason, local governments invest in maintaining the health of urban and community trees because they are increasingly growing assets worth three times the investment. In this blog, we are going to break down the cost of planting trees and quantify the economic, as well as socioeconomic, importance of trees. When measuring the economic value of trees, it is first important to outline the purpose and distribution process of trees. Trees planted in large quantities are generally used for forestry and land reclamation to improve biodiversity or for reforestation following a forest fire or other natural calamities and pest infestation. Unlike forestry and land reclamation tree planting activities, urban planting is mostly for landscaping purposes. Regardless of the scale of distribution, however, urban trees still play a significant role in removing carbon dioxide from the air and mitigating natural hazards, such as soil erosion and flooding. The costs of planting urban trees are quite low, compared to other mitigation options. For as little as AUD 120, a town can plant a thousand trees, depending on the species, but most landscape architects would plant fast-growing species that are endemic to the area. When transplanting exotic species, designers make sure they can adapt well to the local climate and soil. Urban planners also employ trees that can rely on underground water or rainwater to cut artificial irrigation and maintenance labour costs. Although one cannot put numbers into other benefits of trees, it is undeniable that trees have economic value. Urban tree planting can fix nitrates into the soil, making urban soils more fertile to grow other plants. This can encourage urban dwellers to plant vegetables in their backyard gardens without worrying about soil contamination. Having plenty of trees in one area will also improve the quality of underground water and reduce the contamination of soil due to urban activity. On a residential scale, having trees provide natural shading for passive heating and cooling, which significantly reduces utility costs. On an urban scale, urban trees, especially if there are many of them, may reduce the effects of an urban heat island, encouraging people to consume less energy. The shade from trees can lower temperatures by up to 8 degrees Celsius, which can reduce the use of air conditioning by up to 15%. Two medium trees, if planted strategically, can save up to $200 per year on an electricity bill. Urban trees also reduce wind speeds of up to 10% during violent storms and significantly reduce water runoff to lessen localized flooding. Moreover, planting indigenous trees on a property can also increase its value, as well as enhance the curb appeal of a property on sale. A Brisbane research reveals that a tree-lined nature strip added 30% to properties and a good tree in a garden adds a conservative estimate of 5% of a property’s total value. The many benefits of urban trees are often underappreciated. If you have problems with trees in your property, consult with us first and we will give you professional advice on what to do with them. 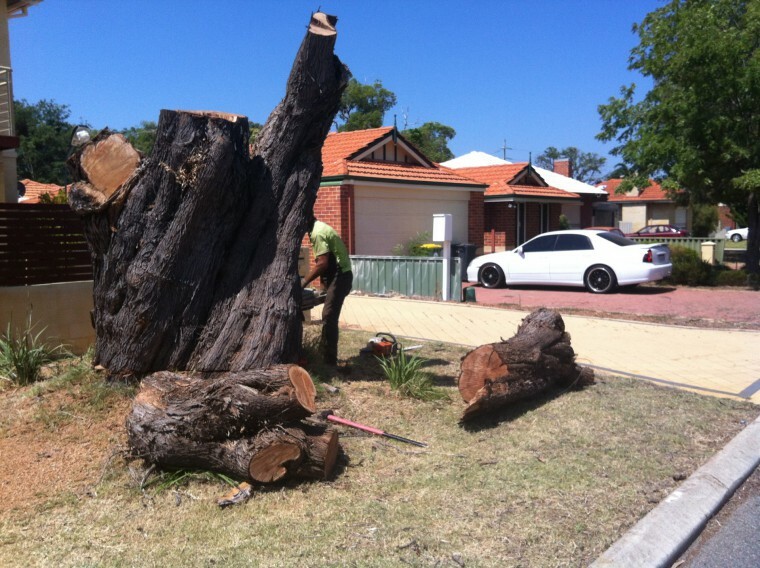 Apart from providing low-cost tree removals in Perth, we offer other solutions to make trees safer and valuable for homeowners. Contact us today for more information.